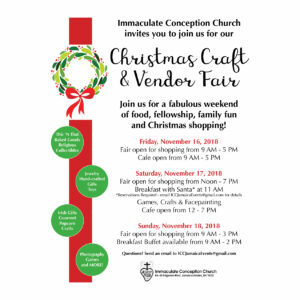 Join us at Immaculate Conception Church for three fun-filled days of food, fellowship and Christmas shopping! 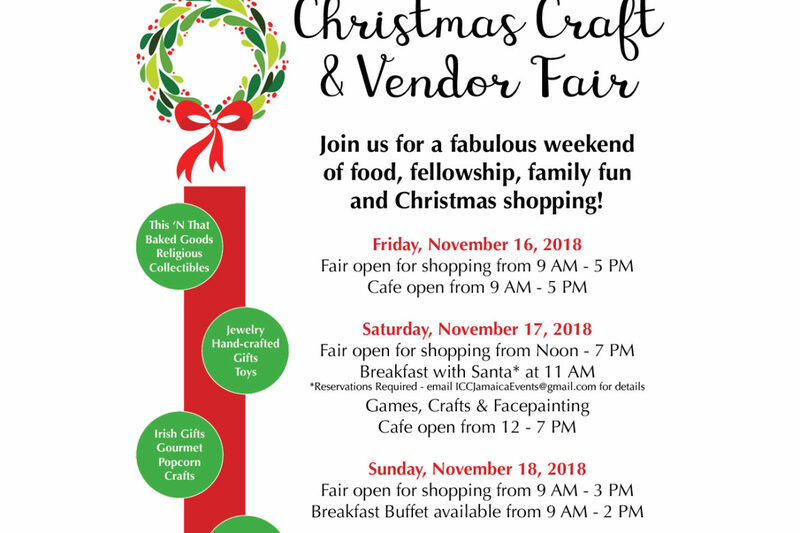 Vendors include Thirty-One bags, Paparazzi jewelry, original photography, puzzle boxes, gift baskets, toys, candles and much more! We’ll also have games for the kids, home-baked treats, religious items and more!